Tucked rather discretely among the opulent, ornate buildings in Old Town, Prague lies the Basilica of St. James (Bazilika svatého Jakuba Většího). From the outside, this rather nonchalant church can easily be missed however once inside be prepared to be spellbound by its elaborate, thrilling beauty. As you cross the iconic Charles Bridge, you arrive in Malá Strana or “Lesser Town, a charming, picturesque part of Prague that peacefully lies beneath the Prague Castle and is known for its delightful winding cobblestone streets, its array of lovely restaurants, shops and cafes, its beautiful buildings and homes, and best of all, its lack of crowds giving this part of town a quieter, peaceful feeling. Despite it’s name “Lesser Town” (Malá Strana is also referred to as the Little Quarter), Lesser Town is by no means a less beautiful or fascinating place to explore. In fact, it got its name because it was originally the smaller part of town where the king lived which in those days was away from the hustle and bustle of the Old Town markets and square. View from Bell Tower looking towards Lesser Town. After you cross the Charles Bridge, slowly the crowds dissipate and you can wander the charming eighteenth century cobblestone streets – many of them tucked behind gorgeous buildings and jetting uphill – in lovely solitude. In many ways, you will find Lesser Town to be Prague’s most enchanting part of town. Despite its intimate size of only 600 square meters, it is easy to get lost within its narrow streets and loose the hordes of people in Old Town. Home to such gems as the Church of St. Nicholas, the Little Quarter Square, the Kafka Museum, Petrin Park, and the Wallenstein Palace and Garden (which sadly was closed when we were there for a private event), you could easily spend a late afternoon or evening enjoying this intimate neighborhood. Prague is a delightful city to explore on foot with its extraordinary architecture, charming cobblestone lanes and enchanting churches, squares and buildings. Prague’s history is long and deep which makes this spectacular city even more fascinating. Founded near the end of the 9th century at the crossroads of Europe, “Praha” or the “doorstep” became the seat of the Kings of Bohemia with a thriving marketplace alongside the River Vltava in what today is known as Old Town Square. Merchants and craftsman from all over the world would meet here to trade and by 1234 Prague’s Staré Město “Old Town” was founded. Old Town revolves around Old Town Square which is laced in history and architectural genius and remains the historic heart and the soul of the city. Many believe it is the grandest, most magnificent square in all of Eastern Europe with its intricate pathways of cobblestone streets reminiscent of medieval times and its brightly-hued pastel buildings each with a history of its own right. Every way you turn, there is an architectural treasure as one building seems to outshine the next. The styles of architecture range from Romanesque (characterized by semi-circular arches that was prevalent in medieval Europe) to Gothic (with its characteristic pointed arches, ribbed vaults and the flying buttress that occurred after the Romanesque period in the 12th century) and Baroque (began in the late 16th century and includes dramatic use of light, oval shapes, grandeur and large ceiling frescoes). What makes Old Town and much of Prague itself so utterly spectacular is that much of its treasured architecture from medieval times remains untouched by war or natural causes. There were floods that inundated the city in Medieval times that caused immense destruction but architects simply built over and restored the buildings in a new style of architecture. Many buildings of Gothic style were restored with Baroque facades. As you enter Old Town, the first thing you see and pass through it the Powder Gate. Built in the 11th century, the Powder Gate was one of 13 entrances into Prague’s Old Town and still stands tall today. It was reconstructed in 1475 during the reign of King Vladislav II in 1475. Walking through the gates, feels like stepping back in time. Despite the masses of people and tourists, if you look up and peer at the stunning, elaborate buildings you are bound to be awestruck by their pure magnificence. Several walking tours and guide books will give you detailed history on each building because of course every single one has a story. Also pay close attention to the detail of the doors, windows and the unique signs decorating each building. You could literally spend hours just walking around Old Town Square. I fell in love with Paris the first time I stepped foot in the French capital over thirty years ago. I thought I’d never find a city more romantic and beautiful than Paris until I met Prague. In my opinion, few cities in the world compare to the magical architecture of these two cities, both equally loved in my eyes. I first saw Prague while I was living and studying abroad in Paris back in 1993, just four years after the Velvet Revolution. With over 40 years of communism, much of Prague’s beauty had been shroud in mystery and wasn’t unveiled for the world to see until 1989 with the fall of communism. Prague is made up of five independent municipalities: Hradčany (Prague Castle), Lesser Town (Malá Strana), Old Town (Staré Město) and New Town (Nové Město) were unified in 1784 and Josefov (the Jewish district) was added in 1850. Although Prague was one of the few European cities untouched by WWII, the Nazi occupation lead to the demise of the Jewish population who either fled or were killed in the Holocaust. The Germans who had formed the largest ethnic group in the city were expelled after the war. Then came 40 years of communism followed by freedom and an opening to the world. The beautiful oceanfront town of Jacmel in Haiti is known for its gorgeous French Colonial architecture and art. Once a bustling producer of coffee and sugar, today Jacmel is mostly known for its incredible vibrant art and cultural scene. I spent two days in Jacmel in February as part of my tour for #Bloggers4Haiti to learn about the impressive papier-mâché artisans who produce some of Haiti’s finest works of art. Exploring the gorgeous colonial streets of Jacmel was one of the main highlights of my trip. I fell in love with the dusty streets layered in culture and history. We spent the morning wandering around the colonial part of Jacmel before our afternoon tour of the many papier-mâché studios and shops in town. Here are a few photos that I wanted to share. La Ciudad de Nuestra de la Paz (the city of our Lady of Peace) was founded on October 20, 1548 by Captain Alonzo de Mendoza. Mendoza, a conquistador from Spain, believed La Paz offered the perfect place to establish a city because it would bring them wealth through gold. It also offered a key link between Lima and Potosí, a city in southern Bolivia built around the richest silver mine in the world. Sadly, the arrival and consequent colonization of Bolivia profoundly changed the livelihoods of the ingenious population who still feel the effects of land redistribution, class segregation and wealth distribution today. What the Spanish colonization left behind is a city filled with an eclectic mix of European colonial and South American architectural influences. As the oldest settlement in South America, La Paz offers some of the most unique examples of traditional Spanish Colonial architecture found. However, like so many developing countries many of La Paz’ buildings lie in a state of disrepair and lack of preservation reminding me so much of Cuba. Come take a walk with me through the streets of La Paz to take a peak at her architectural beauty and charm. Close you eyes and imagine what a fresh coat of paint would do! An estimated 95% of Bolivians are Roman Catholics and the churches are glorious representations of their faith. The indigenous population have converted to Catholicism but also incorporate some of their native beliefs into their faith. Iglesia de San Francisco reflects a blend of 16th century Spanish and mestizo influence. Tucked away in the heart of the Piazza, the old Italian district of Addis Ababa, lies the enchanting St. George Cathedral, one of Addis’ most beloved treasures. The St. George Cathedral was commissioned by Emperor Menelik II to commemorate his extraordinary defeat of the Italians who fought to take over Ethiopia in 1896. The victory marked a huge success for Ethiopia. The nation was able to retain their sovereignty and today remains one of the few countries in Africa that has never been colonized. 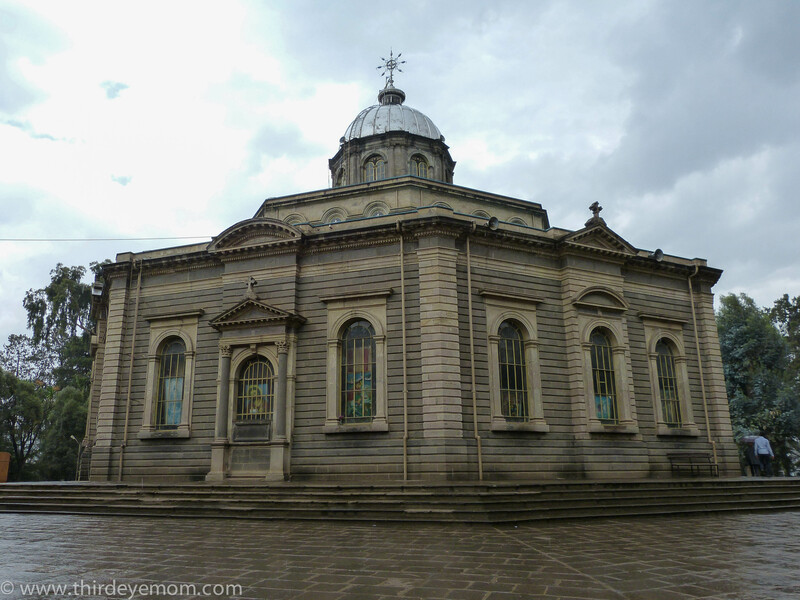 The church was designed by Greek, Armenian and Indian artists and completed in 1911 named in the honor of St. George, the patron saint of Ethiopia, whose relic was actually carried in the 1896 battle against the Italians in Adwa. Today, St. George cathedral and its museum are important places for Orthodox Christians and tourists alike to visit. While the outside of the cathedral is rather striking in its neoclassical, octagon-shaped structure, the inside is a true delight of brilliant stained-glass windows, colorful religious paintings and carpets. The museum next door holds some of the ancient relics of the church where the Empress Zewditu and Emperor Haile Selaisse were crowned. The glorious St. George cathedral’s neoclassical design is shaped in an octagon that covers the grounds. The highlight of my visit to Cienfuegos was our late afternoon lunch at the spectacular Palacio de Valle. Built in 1913 for the wealthy business tycoon Don Acisclo del Valle, the palace is an unbelievable mix of Romanesque, Gothic, Mudejar and Baroque styles influenced by Spain’s Moorish past. The palace was designed by an Italian architect, Alfredo Colli and took over four years to complete. 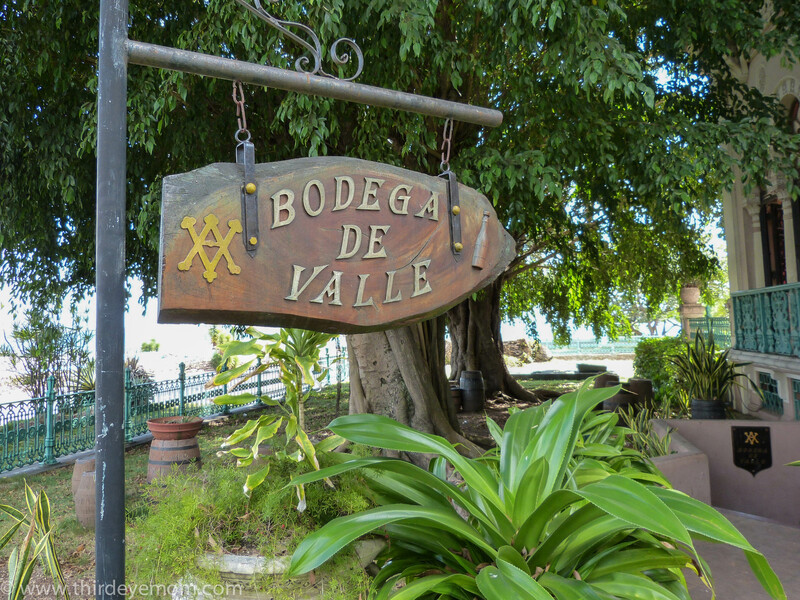 Today the Palacio de Valle is open to tourists at its lovely first floor restaurant and also holds various cultural events throughout the year. After traveling to the South of Spain and Morocco, I fell in love with the Moorish architecture of that part of the world and was a bit surprised to find it in Cuba. The Palacio de Valle was my favorite building that I saw during my trip to Cuba due to its sheer beauty and architectural genius. The entire place is enchanting and the craftsmanship inside the palace’s interior is a feast for the eyes.